San Antonio, which finished the past two regular seasons with a combined record of 15-53, will have the most chances to land the top pick (442 out of 1,000). Connecticut and Dallas each posted a combined record of 29-39. The Wings hold the lottery tiebreaker by virtue of finishing with a worse record in 2016 (11-23) than the Sun (14-20). 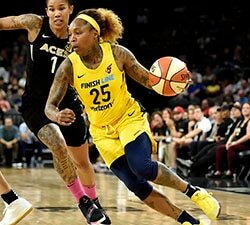 As a result, while Dallas and Los Angeles (via Connecticut) will both have 227 chances out of 1,000 to win the top pick, the Wings will be slotted ahead of the Sparks if neither team comes up in the draw. Washington, which has a two-year record of 31-37, has the fourth-most chances of landing the No. 1 pick (104 out of 1,000). The order of selection for the remainder of the first round as well as the second and third rounds is determined by inverse order of the teams’ respective regular-season records solely from 2016. A representative from the accounting firm of Ernst & Young will be in attendance to oversee the lottery process. This marks the fifth straight year that ESPN will televise the lottery. 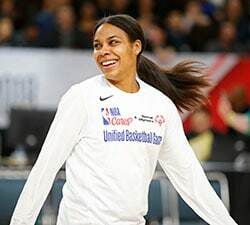 In September 2012, the Phoenix Mercury won the Lottery, capturing the No.1 overall pick in the 2013 WNBA Draft presented by State Farm the following April. Phoenix selected Baylor’s Brittney Griner with the first pick. One year later, the Connecticut Sun won the Lottery and went on to draft Chiney Ogwumike of Stanford at No. 1. 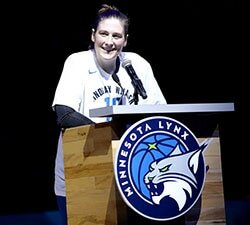 In the following Lottery, conducted in August 2014, the Seattle Storm landed the top pick, which the team used to select Notre Dame’s Jewell Loyd. Last September, the Storm again won the lottery, landing the No. 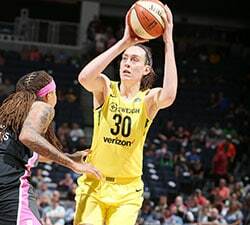 1 overall selection which they used to pick Connecticut’s Breanna Stewart.